Have you ever been to a construction site? There you would witness a lot of heavy machinery like crane, bulldozer, grader and JCB backhoe loader. These giant looking machines are such a masterpiece of engineering and delicacy that in spite of their huge size they still look good. 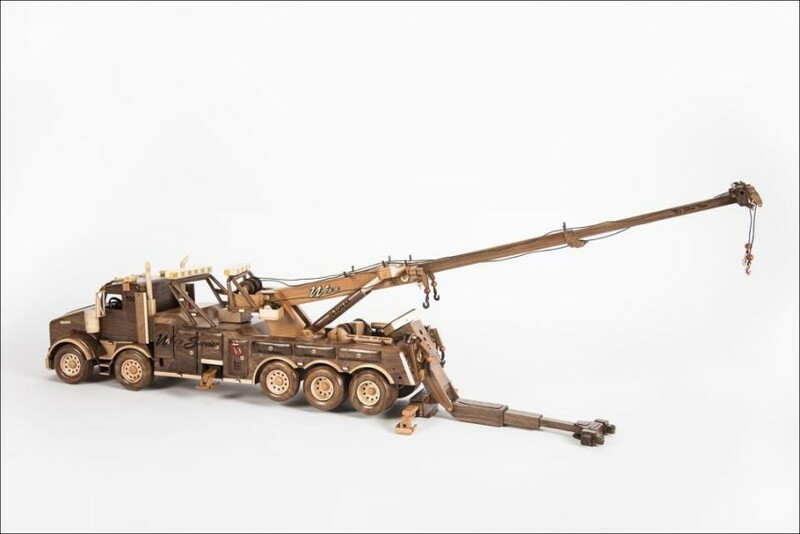 One of them is a rotator wrecker which is also known as a mobile crane. It has many hooks, booms, clutches, hoist ropes, wear pads and hook blocks. 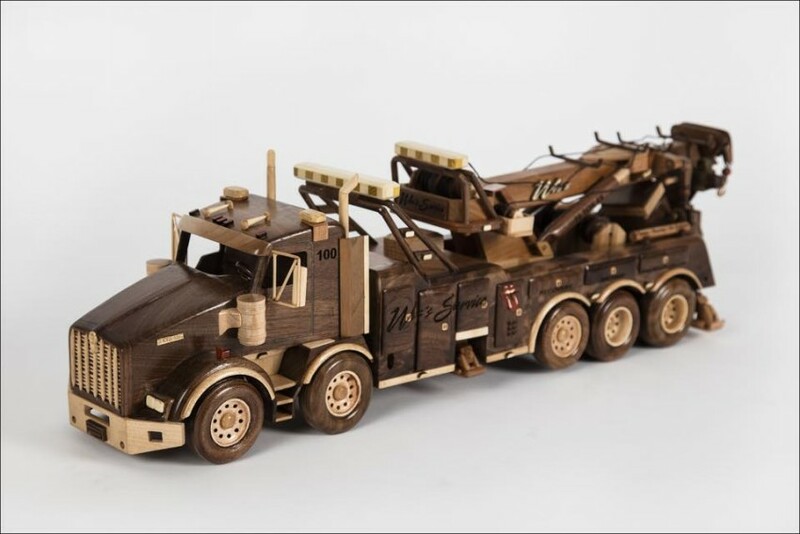 This giant looking machine is so important that it makes it possible to transfer most heavy materials from one place to another; these tasks certainly cannot be performed manually. 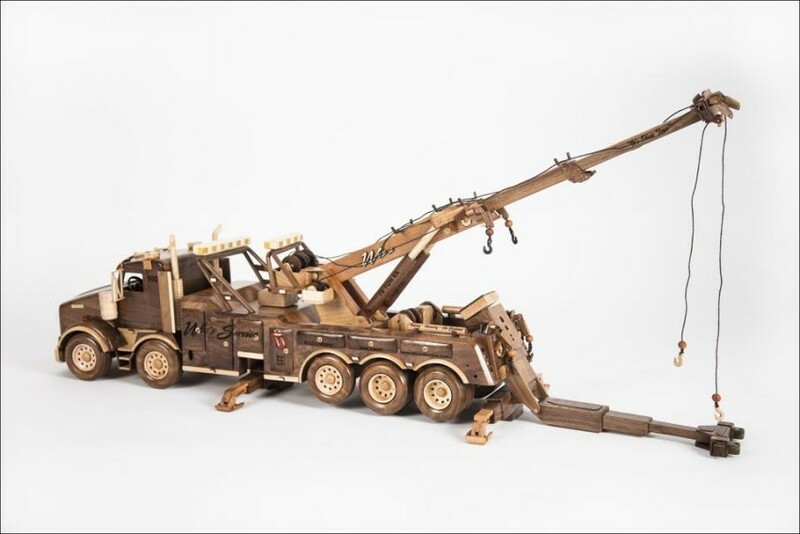 This rotator wrecker is such a beautiful blend of motor engineering and hydraulic tactics, that it fascinates to a lot of machines loving people. 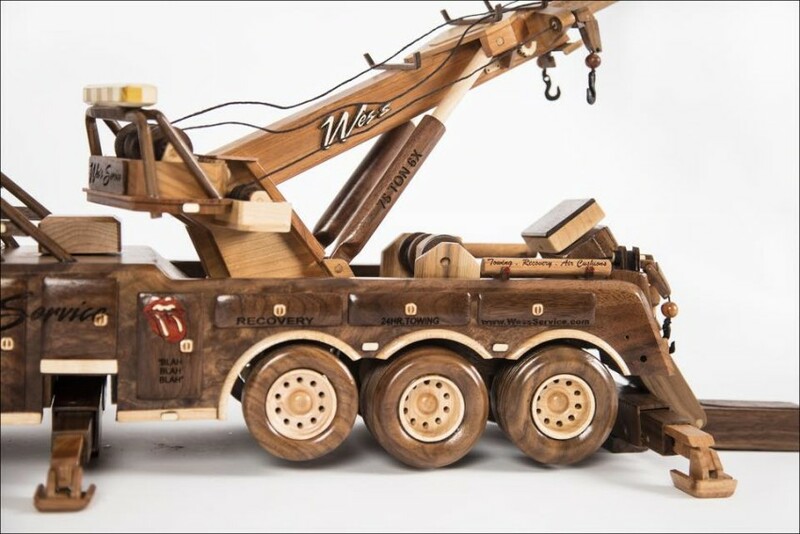 Here we have some pictures where this rotator wrecker is made with the help of some fine wood. 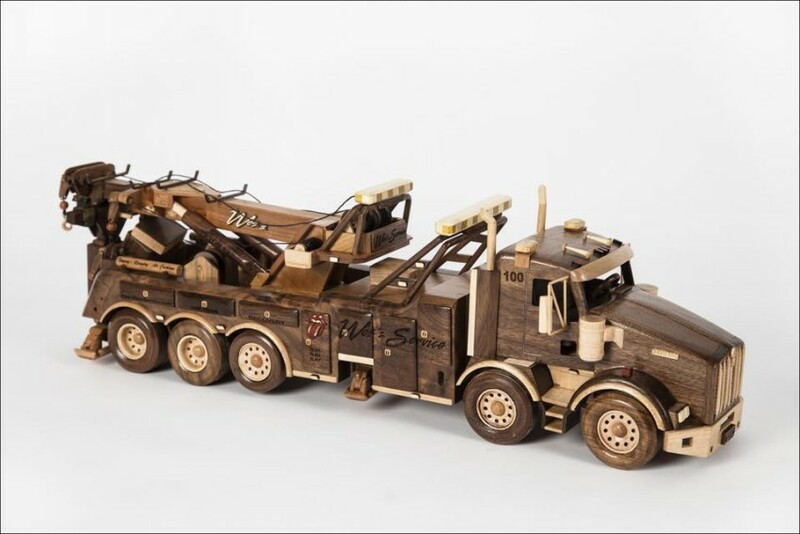 The entire body of this rotator wrecker is made of wood, this is such a great demonstration of the wood art. 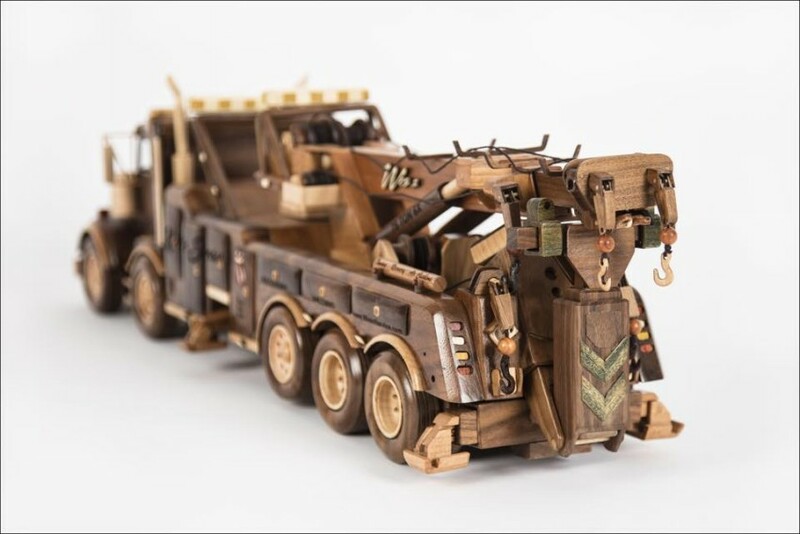 Its entire body, cabin, tire, boom, hooks and clutches each and everything is made of wood. 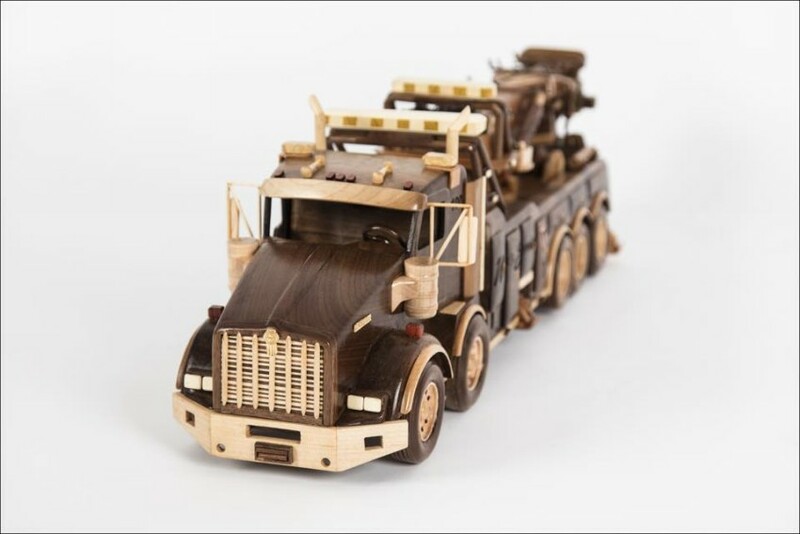 You can place this wrecker on your room’s shelf or somewhere in your drawing room. 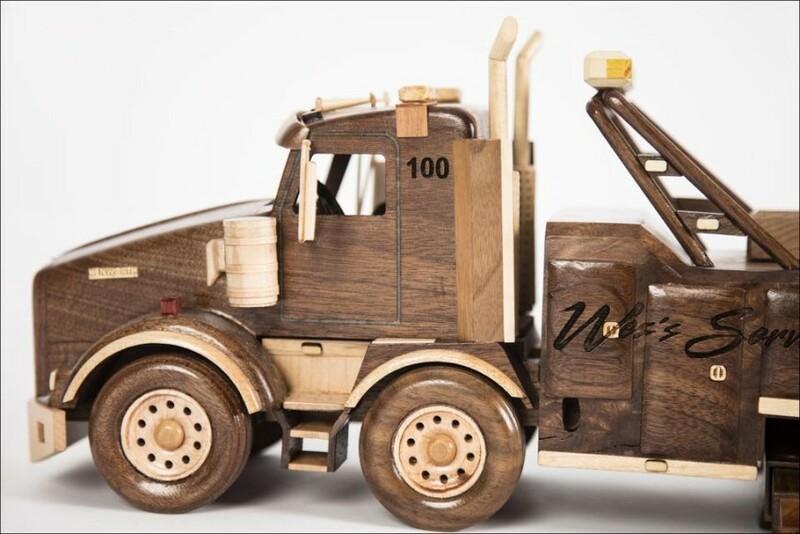 This is such a great inspiration for the ones who love wood art or other upcycled art crafts. 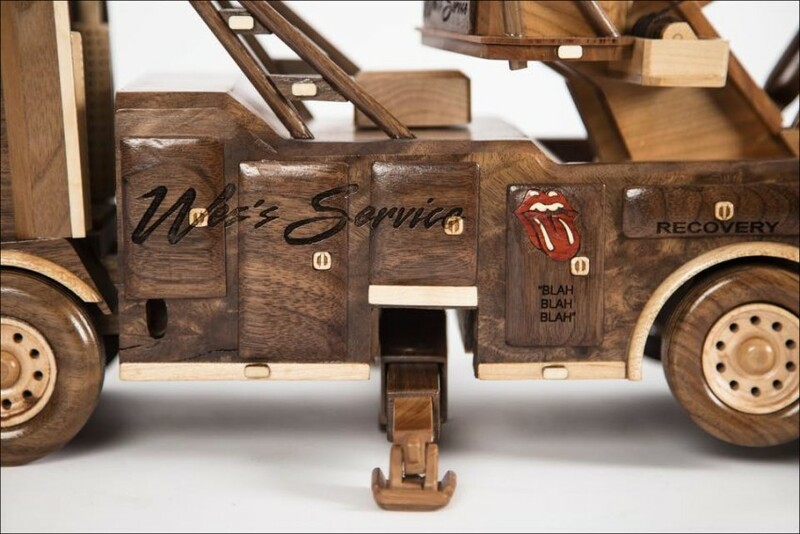 If you have kids, they are going to love it as some entertaining toy in their games.